Most of the Cordillera Blanca is located within the Huascarán National Park. A one-day pass costs under US$2 per person (payable in Peruvian currency), and a one-month pass (required for any overnight stays, even one night) costs $20 per person. The fee is payable upon entering the park, but sometimes there is no one to collect it in the off-season. Camping is allowed anywhere, and human waste does not have to be packed out of the park. However, no fires are allowed. Additional permits are not required to hike or climb any of the peaks – even Peru’s highest, Huascarán (6,768 meters, or over 22,000 feet). However, you normally can not enter the park without a guide on overnight trips, nor climbing nor hiking. But when you are on a trek, you can sign a paper on which you state you take all responsibility on your overnight stay whatever happens. On climbing its different, there you are obliged to take a certified mountaineering guide, aproved by park authorities. Climbers may enter without guides or “authorized service providers” (porters, cooks, burro drivers with licenses from the park administration) if they can demonstrate they are members of an UIAA-affiliated alpine club. 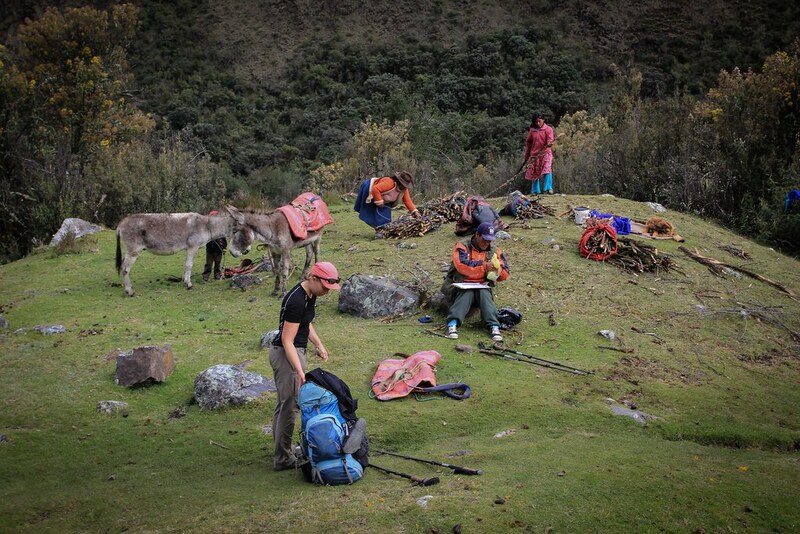 The 30-day registration requirement is not being enforced, so in effect climbers (both foreign and Peruvian) must present a notarized copy (simple to do in Huaraz) of their club membership cards at the park office, pay the use fee (about $25), and register the proposed itinerary with the park. A Huascaran National Park ranger collects a month fee of 65 Peruvian Soles at the entrance of the park for overnight stays longer then 1 day, with a limit of 30 days.